Lauren St John grew up surrounded by horses and wild animals on a farm and game reserve in Zimbabwe, and now writes tales of animals, mystery and adventure. 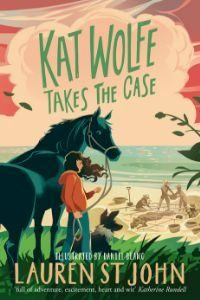 Come and hear Lauren talk about her new series Kat Wolfe Investigates, where herlove of mystery stories collides with her childhood dream of being a vet! Lauren is the author of multiaward-winning The White Giraffe series, as well as the Laura Marlin mysteries, the first of which, Dead Man’s Cove, was the Blue Peter Book of the Year in 2011. Her bestselling One Dollar Horse series was followed by a YA horse romance, The Glory. Do you love wild, silly stories packed full of fun? Then we’ve got the just the thing for you! Andy Stanton is known for his hilarious and inspiring events. Endlessly inventive and laugh-out-loud funny, his brilliant and best-selling Mr Gum series has won two Blue Peter Book Awards and the Roald Dahl Funny Prize. 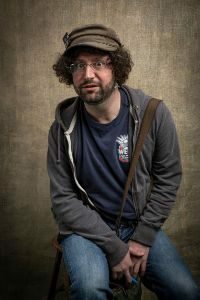 Andy has been a film script reader and a cartoonist, as well as a writer, and his latest book is Natboff: One Million Years of Stupidity. He also writes picture books, including Danny McGee Drinks the Sea. Our world is full of remarkable animals and our seas are teaming with life. But how can we look after them? Lauren St John and Robin Stevens from Authors 4 Oceans talk about how they are raising awareness of our seas, and 12 year-old coastal crusader Flossie Donnelly talks about her work on Dublin beaches. Robin Stevens is the author of the popular and best-selling Murder Most Unladylike series, featuring the exploits of the Wells and Wong Detective Society. Lauren St John writes multi-award-winning The White Giraffe series and the Laura Marlin mysteries. 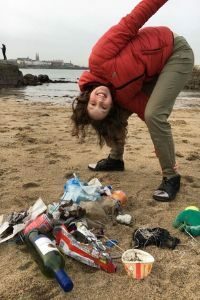 Marine environmentalist Flossie Donnelly from Sandycove started beach cleaning when she discovered how much litter – especially plastic – was building up. Chaired by writer and illustrator Oisín McGann, this event is a must for any family interested in finding out more about our oceans. 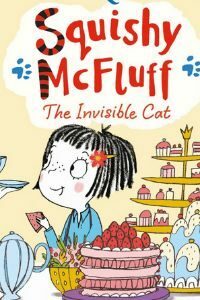 Squishy McFluff is a very, very special cat… he’s invisible! Although he’s completely and utterly see-through, his owner Ava is the only one who can see him! 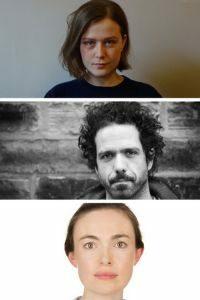 Squishy is ever so good at coming up with ideas for fun things to do, so come and hear all about their adventures in this interactive story and art event. Pip Jones has written lots of books, and the first Squishy McFluff story won the inaugural Greenhouse Funny Prize in 2012. Ella Okstad is an illustrator based in Norway who works with lots of writers on their books – though Squishy was her first imaginary cat! 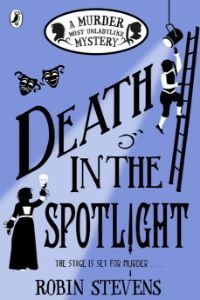 Do you love your whodunits with oodles of charm? Here’s your chance to meet the amazing Robin Stevens, get your books signed, and catch up with Hazel Wong and Daisy Wells – two girls who are never far away from danger! The exploits of the Wells and Wong Detective Society have been mega popular since the first in the Murder Most Unladylike series was published in 2014. Robin was born in California and grew up in Oxford, across the road from the house where Alice in Wonderland lived. From the age of twelve she was determined to write daring murder mysteries, and has also written The Guggenheim Mystery, sequel to Siobhan Dowd’s The London Eye Mystery. 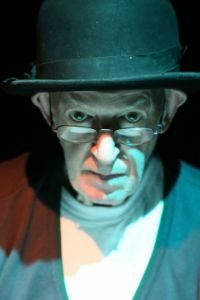 Interested in hearing personal stories about Dublin’s past? 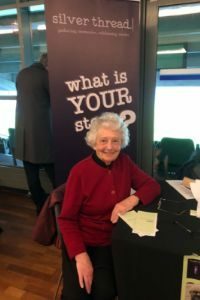 This gathering of memoir writers and participants of storytelling workshops from communities in Stoneybatter and Finglas features readings related to the city, and stories told by older people of the streets, events and characters of their Dublin. Facilitated by Silver Thread, the second half of the event will engage the audience in storytelling and reminiscence. Discover stories you never knew about streets you might know well! 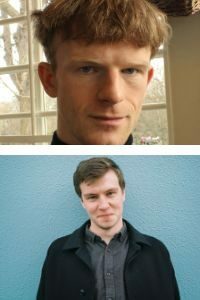 With the essay form enjoying a hugely popular return, two of the most original writers working in Ireland today discuss their writing and the need for personal voices. Ian Maleney’s poignant debut essay collection Minor Monuments asks what is it that binds us to others and to ourselves. Part memoir and part exploration, his thought-provoking essays unfold from the landscape of the Irish midlands. Tunnel Vision, Kevin Breathnach’s piercingly intelligent essay collection, is a documentary of the narrator’s post-adolescent relationships and intimate portrayal of unstable masculinity and sexual repression, conveyed with sensitivity and wit. In conversation with writer Joanna Walsh, author of Hotel and Break.up. Described in the Observer as an ‘intense contemporary thriller of multiple exploitations’, Tommy Wieringa’s latest book, The Death of Murat Idrissi, translated from Dutch by Sam Garrett, traces how a wrong turn leads to disaster for two adventurous European women in Morocco. 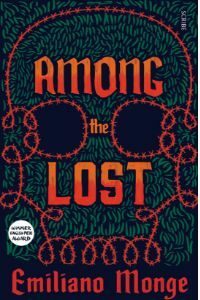 Written in high voltage prose, Among The Lost by Emiliano Monge, translated from Spanish by Frank Wynne, follows a single day in which people are trafficked and brutalised and illegal migrants are cheated of money and dreams even as countless others scrabble to cross the border. Jan Carson and David Keenan both create powerful, disturbing versions of a city that is at once familiar yet completely strange. 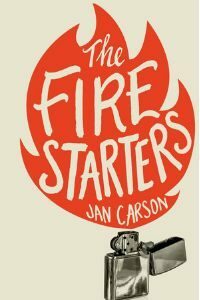 Writer and community arts facilitator Jan Carson’s spectacular new novel The Fire Starters is grittily real and wildly magical: a story of fierce familial love and sacrifice set against the backdrop of a frenzied Belfast, where the lines between fantasy and truth, right and wrong, have begun to blur. Award-winning author David Keenan’s powerful and fearless second novel For The Good Times explores the dark night of Belfast in the 1970s, when three Ardoyne boys, who have found themselves in the incongruous position of running a comic book shop taken over by the IRA, become transfixed by the possibilities of free reign criminality. In conversation with Martin Doyle, Books Editor, The Irish Times.